OMG Posters! » Archive Jeff Soto's Pearl Jam Poster (Onsale Info) - OMG Posters! 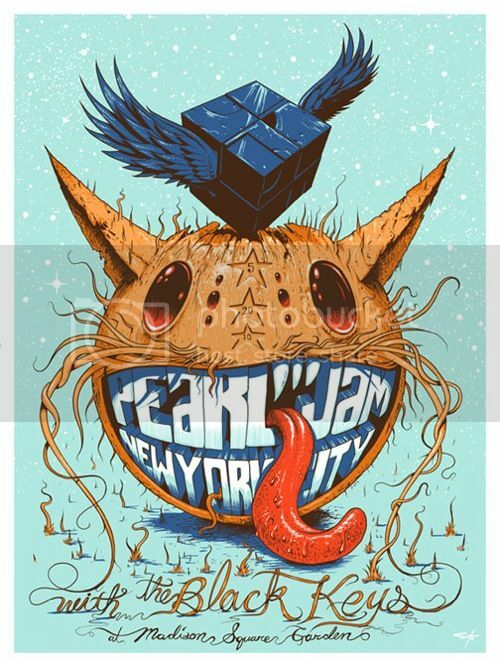 Jeff Soto and Pearl Jam teaming up for a poster is definitely a nice surprise. This one is an 18″ x 24″ screenprint, has an artist edition of 100, and will be $70. It goes up today (Wednesday, May 26th) “around” 12pm PST. 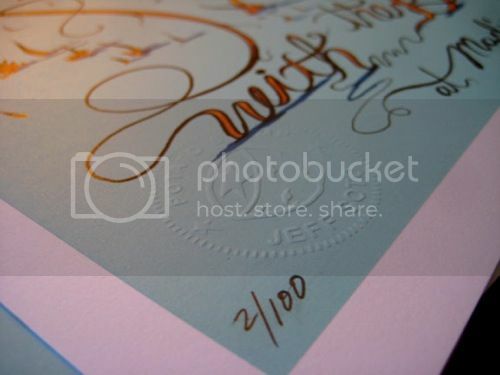 Visit PotatoStamp.com. Nice, indeed, but not worth $70 imo. Its a pretty cool poster. The $70 is for the S & N edition. PearlJam site should be selling them after the tour for about $30 plus shipping. Love this print, and seeing as the unsigned unnumbered show edition pretty regularly sells for more than $70 I thought it was a good price, especially if you’re a Soto collector.